Last week we donated cupcakes and these two cakes for the Goodwill BBQ/Cocktail Fundraiser Event. Nothing says summer like BBQ and fireworks, oh, and cake or course! 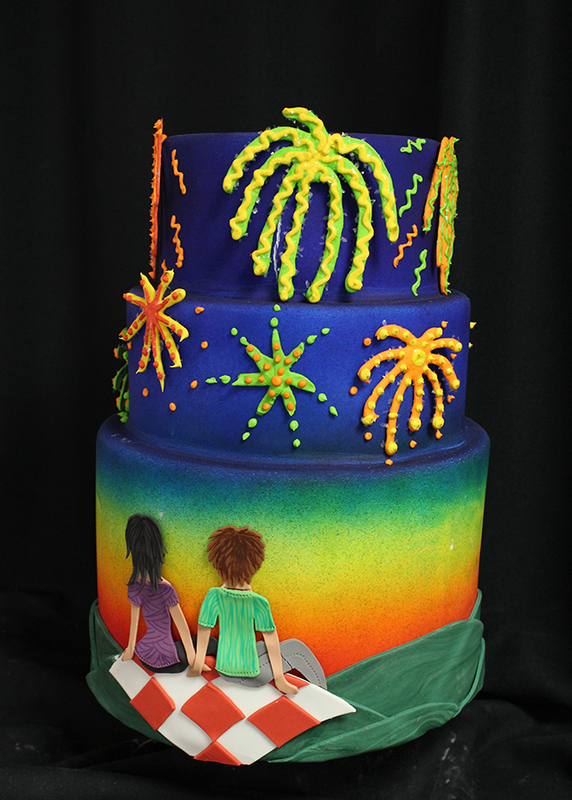 If you can’t make it to Boston’s Fireworks Spectacular why not order a show’cake’ of your own. 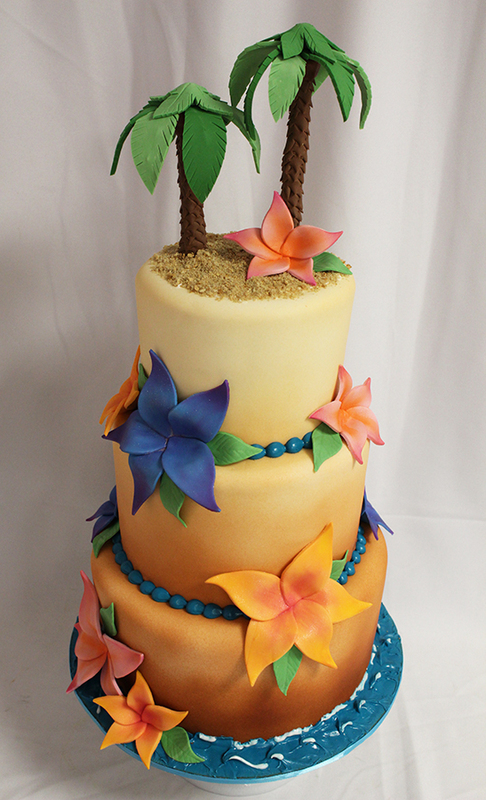 Summers in Boston are pretty nice but secretly we all wish we were on a tropical island, enter tropical island cake. You make people smile. They are all gorgeous! Can’t wait to get to a Fun with Fondant class. My 10 year old son wants another rainbow cupcake! Love your cakes! 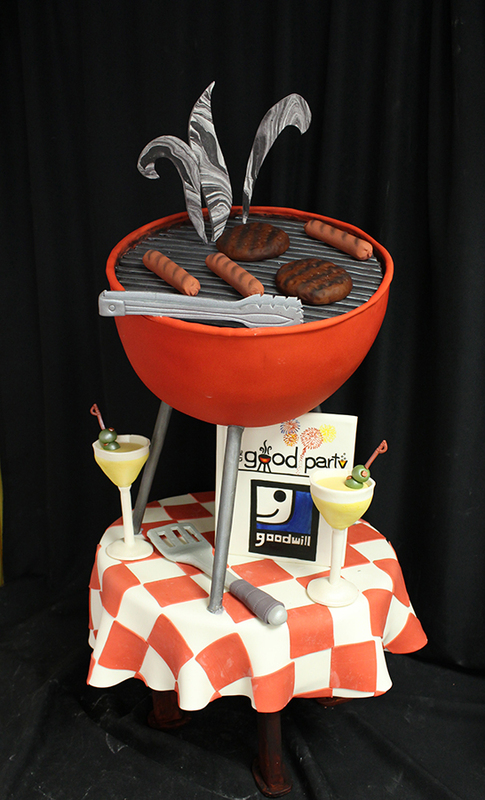 For a minute, the BBQ one had me stumped as to where the actual cake was because I was thinking it was empty space under the grill. So realistic! THanks! The cake would be the round, red part of the grill and the round table, underneath the table cloth.